Paddie was born and raised in Southern California. In 1987 she started her career in the dental field. She attended UCLA where she received her Bachelors in Business Administration. In the Summer of 2016, she moved to Arizona to join the SD&D family. She loves and adores her family and grandchildren. In her spare time she enjoys scrapbooking, cooking, wine tasting and networking. SD&D is more than happy to have Paddie with us and apart of the team. 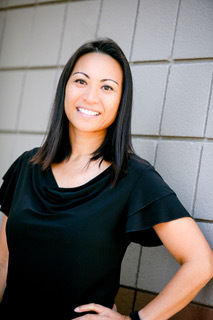 Before Michelle moved to Arizona, she was raised in Hawaii where she graduated from the University of Hawaii with a Bachelor in Business administration. Michelle has enjoyed eleven years in Administrative dentistry. During this time she developed a passion for cosmetic dentistry. She finds that helping patients achieve the dream smile they deserve, and the transformation in a patient’s confidence after a smile makeover, extremely rewarding. Outside her career Michelle enjoys reading, crafting, trying new recipes, and spending time with her family. Nicole is an Arizona native and was born and raised in Phoenix. Nicole has been in the dental field for over a decade now and started off her dental career as a dental assistant. After working as an assistant for a few years, she then moved on and graduated with honors from Mesa Community College’s Dental Hygiene program with her degree in Dental Hygiene and Local Anesthesia certification. Nicole was also laser trained in 2012 through Phoenix College. A highlight of Nicole’s career was when she had the opportunity to travel to Guatemala to provide dental services to the citizens. Nicole and her husband have a little boy and currently reside in North Phoenix. Kathy is celebrating over 30 years in dentistry. She started in 1985 as a dental assistant and immediately knew dentistry would be her life’s passion. Kathy is a fourth generation Arizona native and has been married to her loving husband for 22 years. Kathy has had the privilege of representing the state of Arizona in the Vocational Skills Olympics in the field of dentistry. She did this by winning the gold medal at the State Vocational Skills Olympics and went on to win the bronze medal at the Nationals Vocational Skills Olympics. Kathy graduated with distinction from Phoenix College with her degree in Dental Hygiene in 1991. She is also laser and anesthesia certified. Kathy has dedicated her career to achieving the best in dental health for her patients by staying on the cutting edge of education and technology. Patients always complement her on her caring touch and personality. Kathy is also the author of “Kathy’s Corner” a fun & informative e-mail based newsletter. Polli is originally from Michigan. She has been a dental hygienist for over 20 years. Her passion is helping people maintain healthy teeth and their overall health. She enjoys spending her free time with friends, golfing, and hanging out with the best dog in the whole wide world, Leo. We are so happy that Polli calls SD&D her home. Natasha was born and raised in New Mexico. She graduated from the dental assisting program at University of New Mexico in 2010. Shortly after, she moved to Arizona and began her career. She loves spending time with her family outdoors, camping, and biking. She also has a crafty side that loves to restore old furniture. She is a kind smile that will always welcome patients, we are very lucky to have her. Sophia was born and raised in Northern Phoenix. She has a drive to continuing her education and learning new things which has led her to SD&D. She finds great joy in helpings others feel their healthiest, while sharing smiles and laughter with every person she meets. She loves spending most of her time with her family, traveling for scuba diving adventures, and learning new health hacks. We are so excited to have Sophia apart of the SD&D family. Derriann or Derri, as she is more affectionately known as, started her health care career as a home care giver for a quadriplegic. She was honored to serve in this capacity for 15 years. After that she transitioned into medical office work such as radiology and cardiology. After a couple of years at the cardiologist she wanted to focus more on prevention of heart disease. And dentistry was the perfect fit. She could see the direct link between oral health and heart disease daily in the cardiologists. Now she helps prevent this terrible disease by helping people achieve a healthy mouth. She is currently celebrating seven years in dentistry. Derri has been married for 20 years and has three children: one adult son and two teenage daughters. Her proudest accomplishment is her role as mom to her children. Her favorite past times are cooking, canning, gardening, and home decor. She loves bringing to life the do it yourself ideas she finds on Pinterest.